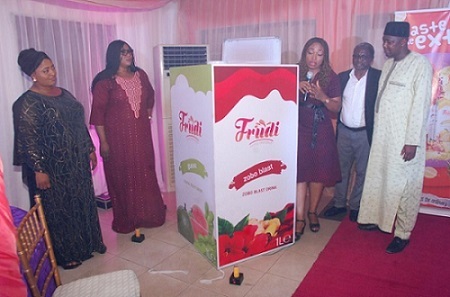 GX Foods, a leading beverage manufacturing company in Nigeria has introduced Frudi Fruit juice into the market. 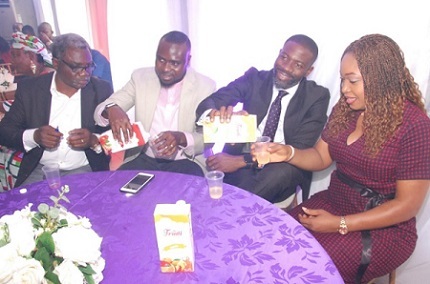 At the launch of the new brand in Lagos recently, GX Foods Head of Sales and Marketing, Theresa Arome- Sule, said that the product is here to satisfy the yearnings of young adults who desire beyond ordinary refreshments in fruit juice and mothers who decide the best for the family. The product which comes in four different flavours: Zobo Blast, Sensational Guava, Gingy Lemon and Exotic are partly made with locally sourced ingredients to further buttress GX Foods’ commitment to the buy Nigerian to grow Nigeria movement. “We want to imbibe an indigenous culture in our customers, hence, the zobo blast, which is 95 per cent indigenous, moreso, to stimulate the habit of drinking healthy. This is why we have taken a step beyond the single flavour juice, which we are all familiar with, to mixing flavours and blending them in such a way that they will be nutritionally beneficial,” Arome-Sule said. “We are majorly targeting mothers, …Young adults between the ages of 15 and 40 are becoming more conscious of what they consume. Also speaking at the launch, the Managing Director of GX Foods, Gbemi Adio Moses, reiterated the essence of the new products to enhance healthy living. “Now, we are moving from an era of refreshments and just drinking juice, to an era where health and nutrition are strictly considered in whatever that goes into our stomach. “This is where the world is headed and we are on that train and direction. Frudi fruit juices are currently available in 1000ml tetra paks and sold in major markets, retail and neighbourhood stores across the country. The event was well attended by trade partners from different parts of the country. GX Foods was incorporated in Nigeria in 2008 and is a major producer of an array of carbonated soft drinks, juice-based products, ready-to-drink teas and other beverages. The company pioneered Soy based beverages in ready-to-drink packs known as SoyGood (Milk and Juices) in Nigeria. The company also does contract manufacturing for multi-national brands, retailers, small producers and start-ups in packaging of their juice, juice drinks, flavoured milk and dry powder.